The Venezuelan government has announced it will expel German ambassador Daniel Kriener. A government statement declared Ambassador Kriener “persona non grata” and accused him of “recurrent acts of interference in internal affairs”. 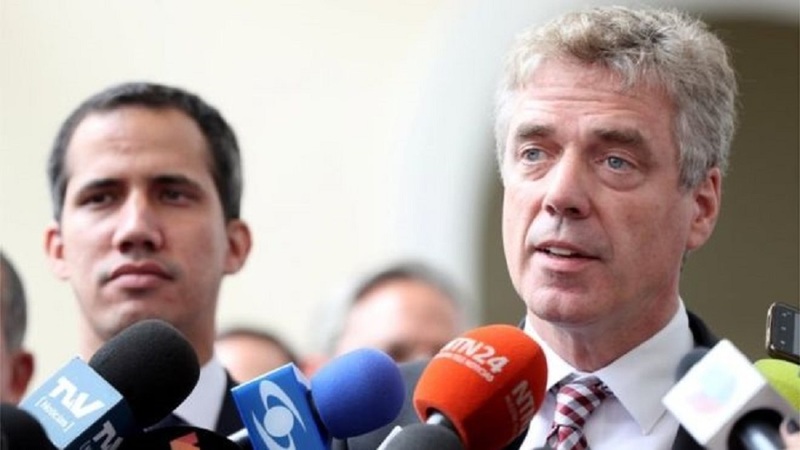 Mr Kriener was among a group of diplomats who helped opposition leader Juan Guaidó return to Venezuela on Monday by meeting him at the airport. Mr Guaidó had defied a travel ban and was widely expected to be arrested. But when he flew into Caracas’s main airport on Monday, he was let through immigration and a group of diplomats welcomed him and then escorted him out of the airport building.